Today and tomorrow are the final two days of our Fathers' Day Sale. 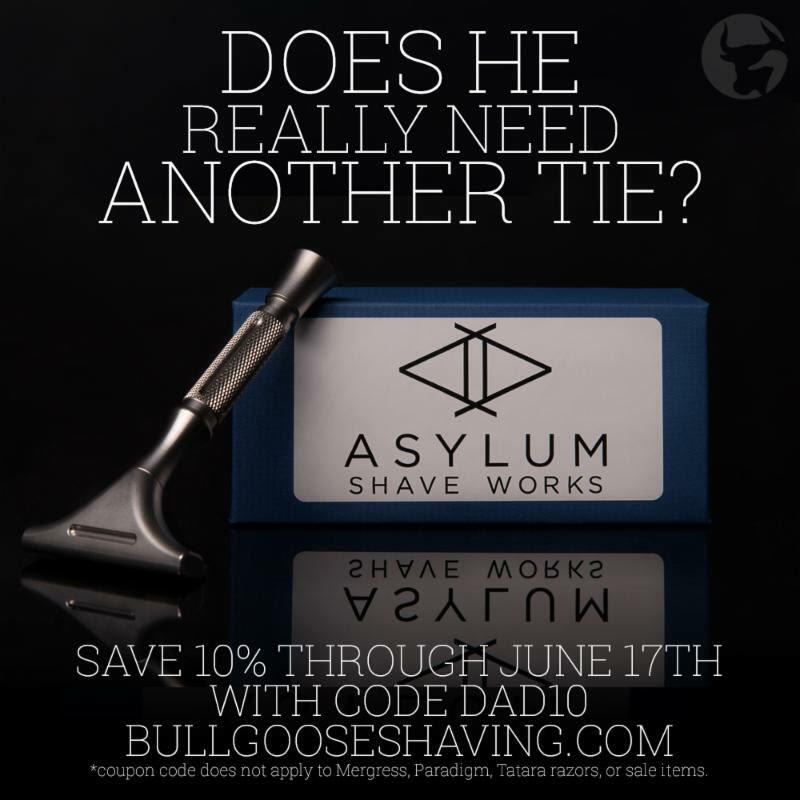 Use Coupon Code Dad10 to save 10% on everything with the exception of Mergress razors and Sale items. The coupon must be used at the time of checkout and cannot be applied retroactively. It only applies to in stock items and rain checks will not be issued. If you have been eyeing a new razor or brush or if you need to stock up on shaving soaps, creams and aftershaves, now is the time to do it.